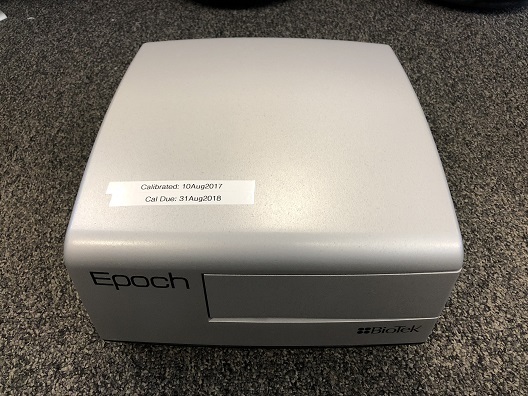 Epoch Microplate Spectrophotometer includes monochromator-based optics that provides filter-free, wide wavelength range for UV-Vis absorbance measurements in various microplate formats. 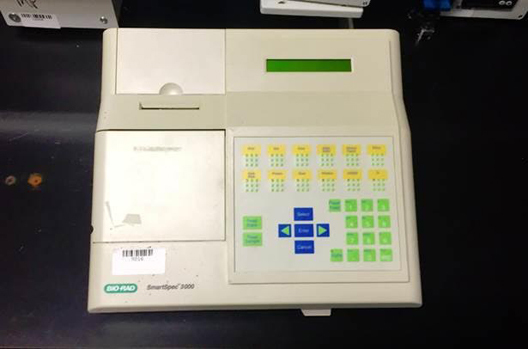 This spectrophotometer is controlled by Gen5 Software that allows intricate data analysis, yet simple programming. This product is cost-effective and requires low maintenance. 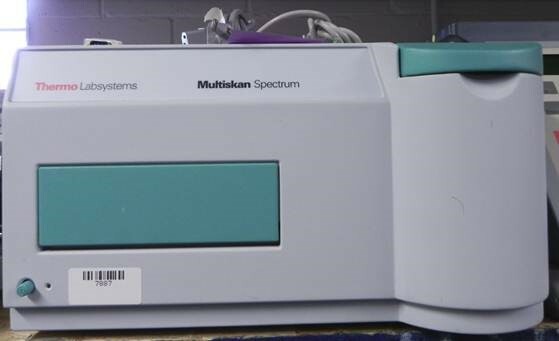 Multiskan Spectrum makes getting results easier, replacing separate spectrophotometers and microplate reading instruments by providing both functions in one convenient, compact instrument. The Multiskan Spectrum is truly two instruments in one, combining both cuvette reading capabilities and advanced microplate reading in one convenient, compact instrument. You can easily take quick absorbance measurements in a cuvette between the cycles of a microplate enzyme kinetics experiment. 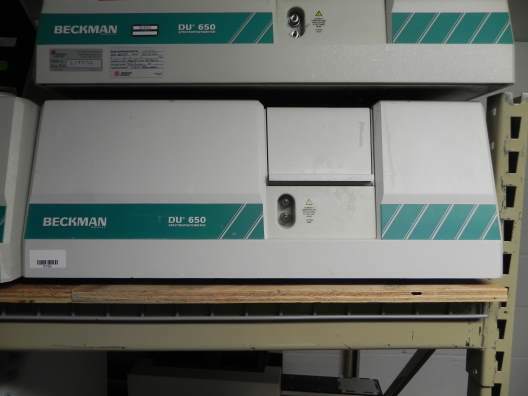 For maximum flexibility, Multiskan Spectrum accepts all microplate for mats from 6- to 384-wells, as well as cuvettes from standard to ultra micro capacities in glass, plastic, or quartz. 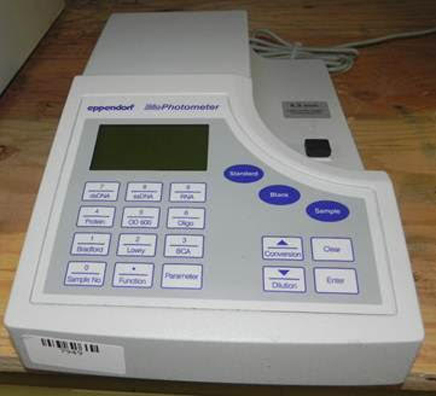 You can take multiple photometric readings per well on large format plates, or single measure ments requiring just 30 μl in 384-well plates. Scanning range of 200 – 1000 nm. The built-in monochromator makes it simple to select any wavelength from 200 nm to 1000 nm in 1 nm steps without ever changing a filter. Sample absorbances can be scanned over the whole spectrum either in microplates or cuvettes. 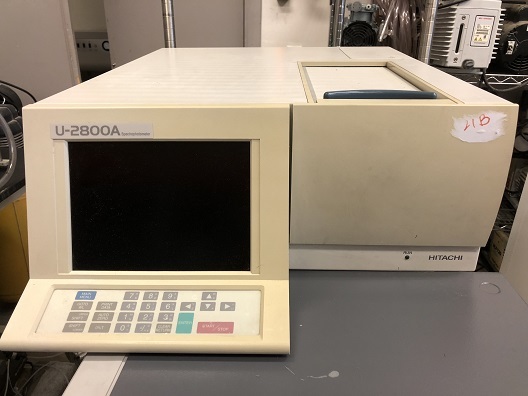 The SPECTRAmax 250 microplate spectrophotometer has a xenon flash lamp and grating monochromator that facilitate direct UV measurement of DNA- RNA- and protein in microplates. Up to 96 assays can be run at one time using disposable or quartz microplates. The purity of DNA can be measured with A260/A280 ratios. Also- users can perform spectral scans from 250 nm to 750 nm to simplify qualitative analyses of numerous samples. The product reportedly reduces sample volumes in experiments because the assays are performed in a microplate instead of cuvettes. 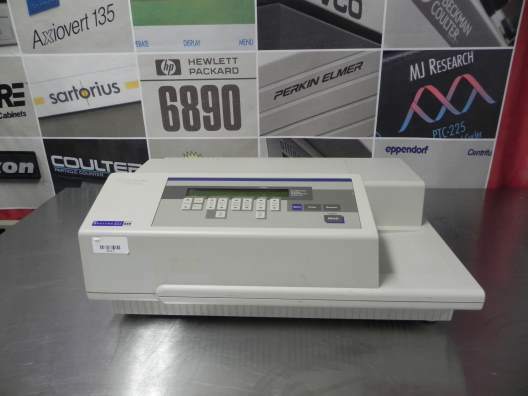 SOFTmax PRO microplate data- analysis software- for use with the SPECTRAmax 250- provides built-in spreadsheet capabilities for easy data analysis and reporting. 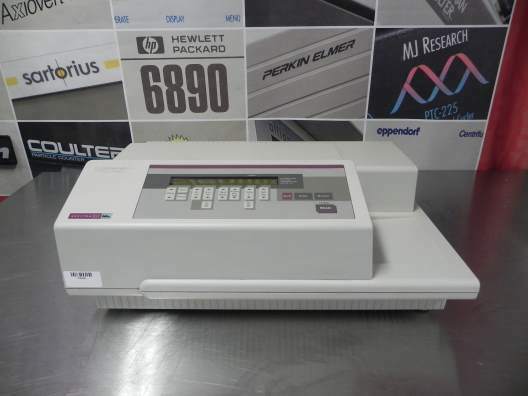 QIAxpert is an innovative high-speed microfluidic UV/VIS spectrophotometer which profiles sample content to differentiate between DNA and RNA and sample impurities. QIAxpert is fast and easy to use, analyzing up to 16 samples within 2 minutes — just pipet samples onto the QIAxpert slide, place it into the reader, and select the pre-programmed method on the integrated touchscreen. QIAxpert is the right tool for any fast-paced lab performing nucleic acid quantification and quality control. 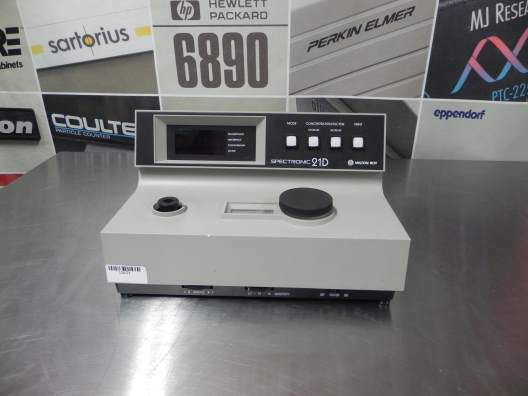 Spectronic 21 Digital Model with UV Capabilities features linear digital readouts in % T, A, and concentration; push-button decimal selection; and an RS-232 interface port. Three-position sensitivity switch and the 100% T/zero A control let you select desired instrument gain setting. Digital display alerts you to out-of-range conditions. 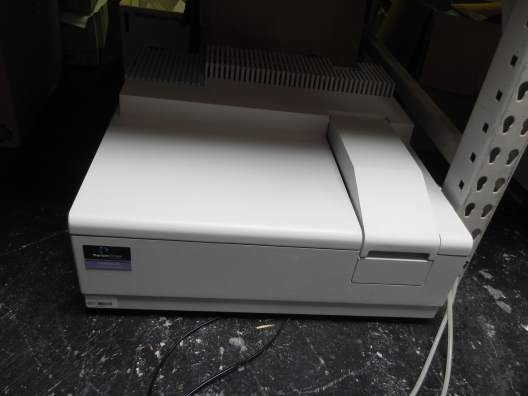 Spectrophotometer includes a universal test tube/cuvette holder (accepts 10- to 26-mm pathlength test tubes or 1- to 10-mm pathlength rectangular cuvettes), twelve 10-mm pathlength test tube cuvettes, spare tungsten lamp, occluder block, operating manual, dust cover, and 3-ft cord with U.S. standard plug. Simple to use instrument for measuring absorbance and concentration. It provides stored routines for nucleic acid quantitation and also a standard curve routine for protein determination. Wavelength scan with zoom, absorbance changes with time, reaction rate determinations, and standard curves can be displayed and printed out. User defined equations can be entered using the multi-wavelength mode and up to 18 methods can be saved. Ultrospec 2100 Pro is a versatile and reliable instrument for use in any laboratory. 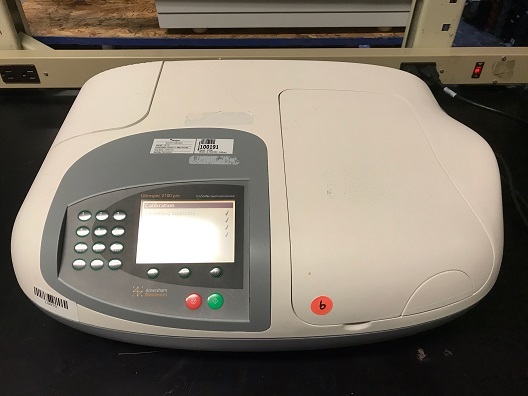 The Ultrospec 500 pro Visible Spectrophotometer is an easy to use instrument optimized for both the biological science teaching laboratory and general biological science laboratory. 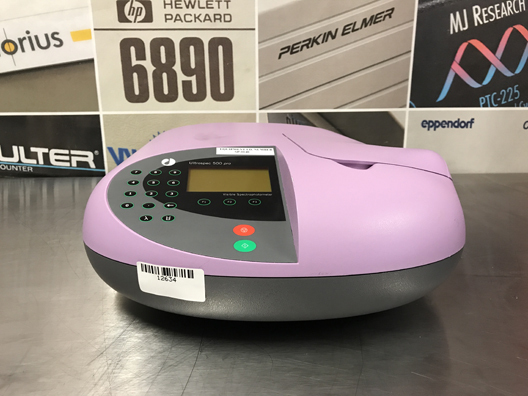 In addition to the basic modes of operation, Ultrospec 500 pro has enhanced software and method storage functionality, with menu options that can be password-protected, if required.